Much like how this movie’s villains found 80s technology primitive, films made during that decade still haven’t reached the sophistication of visual effects of the movies we are seeing today. But what they may have lacked in SFX, they compensate in telling character-driven stories that not only excite viewers and trigger their imagination, but also tug heartstrings. Classics like The Goonies, The Breakfast Club and E.T. have heart. 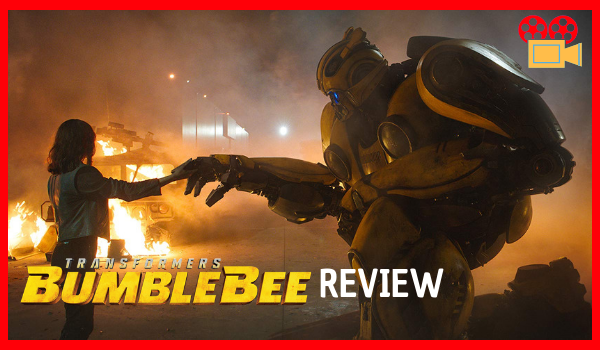 The soft reboot Transformers film Bumblebee takes elements that made those well-loved movies work and combine them with sleek, contemporary CG - but not making the same mistake of previous Michael Bay helmed-movies. Instead of copious explosions and visually incomprehensible action, the line’s new director Travis Knight made sure the robots felt like real characters. In Bumblebee, we also see a creative use of their skill set in combat and transport. This is expected from Knight, whose previous stop-motion animated feature Kubo and The Two Strings also presented imaginative ways in using moving paper - both as a medium in the film and a power set of the characters in the movie. While the plot of a pet robot is nothing new, Bumblebee is cohesive and has definitive resolutions for the main characters. Bumblebee’s flaws may be a bit unfair to the director because it suffers inconsistencies from the previous Transformers movie. For example, the supposed prequel contradicts the early iteration of Bumblebee in World War II in Transformers: The Last Knight. The studio should address this directly to not make the same mistakes of the X-Men movies, which have numerous continuity errors even before the alternative timelines have been introduced. Nevertheless, Bumblebee lives up to the hype that it is the best Transformers movie so far. There is a sense of freshness to it because probably viewers have gotten tired of expecting a well-made Transformers movie throughout the years. Trust Knight to continue resuscitating this pop culture franchise and he may have a shot in creating a great film worthy of being compared to classic action and adventure movies of the 80s.